(4 Customer Reviews) | Write Review 14 issues per year • Macworld magazine is the world's best-selling Apple magazine, featuring in-depth reviews, expert advice and essential guides to Macs, iPads, iPhones and related products. • Inside this app you can find the latest issue of Macworld along with the best selling issues of Macworld, The Complete Guides to the iPad & iPhone, Masterclass tutorials, and loads more. 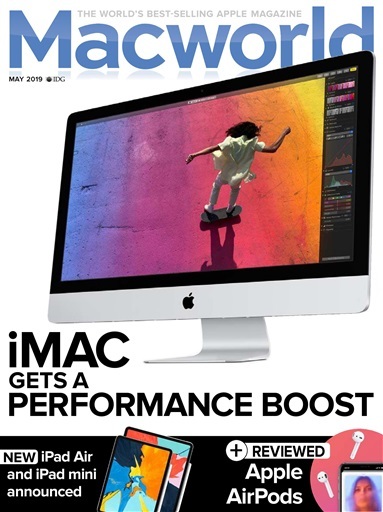 • Macworld magazine is the world's best-selling Apple magazine, featuring in-depth reviews, expert advice and essential guides to Macs, iPads, iPhones and related products. 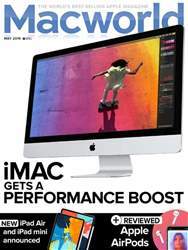 You'll receive 14 issues during a 1 year Macworld UK magazine subscription. I've been waiting for this since I bought my iPad 2 on launch day! Eagerly downloaded (I've been holding off renewing print sub) and not disappointed! On a few occasions the text doesn't focus we'll and can be a bit blurry but I'm sure that's just teething problems. I hope that you continue with this digital version and make it more interactive in the future (video, hyperlinks etc). Excellent effort-ill be subscribing from the next edition! A great App which reflects the print edition perfectly but at half the price. Frequently updated material and you get a free issue when you download the app. Definitely worth a read. I downloaded Macworld this weekend because they were doing a deal where a subscription was half price but I was a bit confused because the apps free, but once you get it you see all the magazines which are £2.49 each and some special issues that are only 69p. It's handy to be able to look through the contents of all the different issues in there so you can find the ones that have stuff in them that interests you. I'm thinking about buying a new MacBook so I found the reviews in the August issue handy. You'll receive 14 issues during a 1 year Macworld UK magazine print subscription.